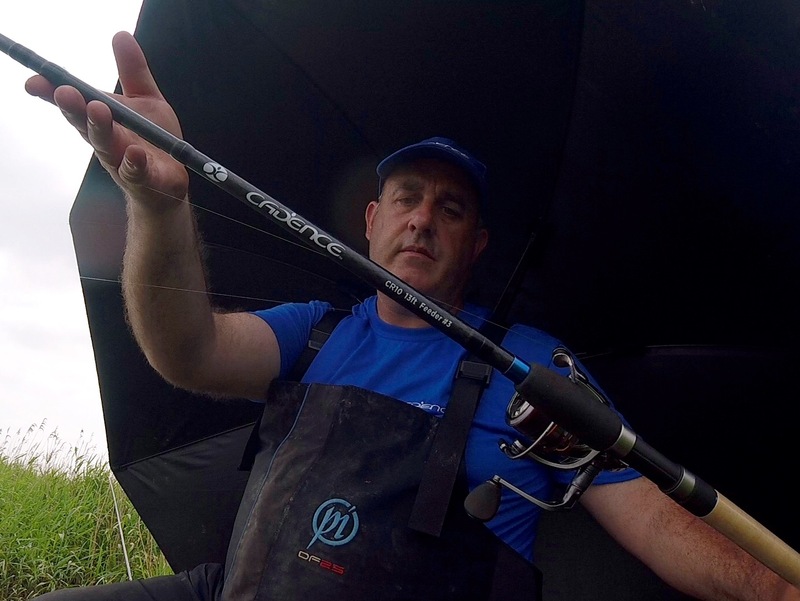 I have recently had a trip on the mighty River Yare, where I wanted to put the Cadence 13ft #3 Feeder Rod through its paces. I have used this rod on my local River Ouse before, but never on a tidal river and this was the perfect venue to try it on. The rod itself is slightly more “beefy” than my Cadence Fishing 13ft #2 Feeder Rod, yet only 14g heavier in actual weight, with a casting weight of 120g. The guides throughout the rod are high quality Fuji Alconites, they’re slightly larger on the #3 Feeder Rods, which is perfect for distance work and also when using a shock leader. There are three tips supplied with the rod, a 2, 3 and 4oz, but also available separately you can get a 1.5oz and a more powerful 5oz tip for the heavier of situations. The action on the rod, like the entire range, is sublime. Lovely and soft through the tip section before powering up through the middle, a perfect combination for the Yare. 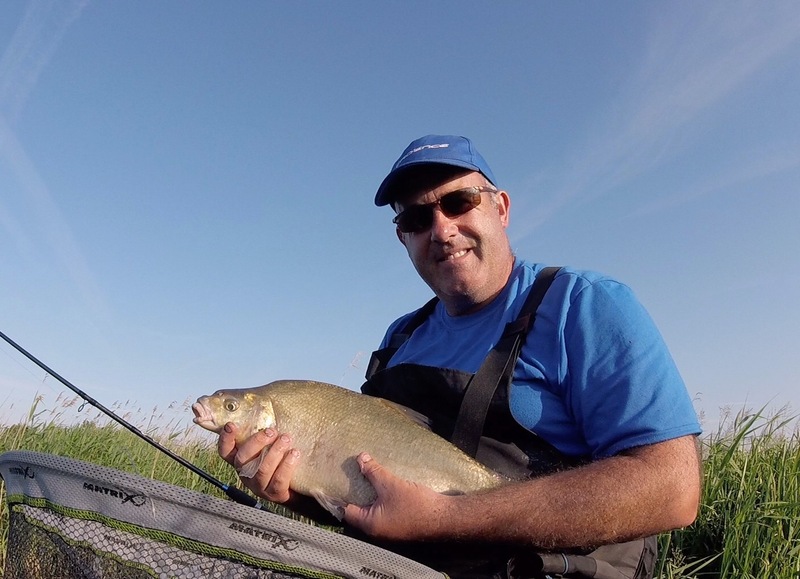 In some areas you could be casting 3ozs, 60m or more, so you need a powerful rod to achieve this, but, with a nice and forgiving through action so you don’t bump off the soft mouthed skimmers and bream. I had set the rod up the evening before, where I had originally added the 4oz tip. The entire drive to the venue I had it running in my head that this was too heavy, as the actual tide height wasn’t that bad. So on arrival I switched straight over to the 3oz. I matched the rod with a Cadence Fishing CS8 4000 sized reel, which I loaded with 5lb mainline and an 8lb shockleader. I never used to use a shockleader, but the last couple of seasons have seen the benefit of using one and with the heavier feeders than usual being used, you can have peace of mind on the cast that no crack offs should occur. My chosen line to fish, was three parts of the way over, which was the deepest part of the peg. I started by using a 2oz feeder, which the rod coped with perfectly, but I knew I would need to increase the weight as the level started to rise. Towards the top of the tide, I increased the feeder weight to a 3oz, which the rod coped with, with ease, it still had plenty of back bone in reserve too. The fears and thoughts I had before the session, were proven to be nothing but fairy tales as this rod does exactly what it says on the tin. The line pick up after each drop back bite, was instant and directly into the fish, with the playing action perfect in cushioning each nod and lunge from the skimmers and eventually a few decent bream. The casting action with the heavier feeder was spot on, in fact it was flawless. I had been looking around for a couple of years for that one rod to fill the void in my range for the bank and the Cadence Fishing 13ft #3 Power Feeder has done exactly that. If you are on the look out for a tip rod for slightly heavier work, be it lakes or rivers, then look no further, as this rod is for you.